As promised, another tutorial using the wonderful Foaming Bath Butter Base. This tutorial will show you how to create a scrumptious sugar scrub. It’s easy to make and wonderful to use! 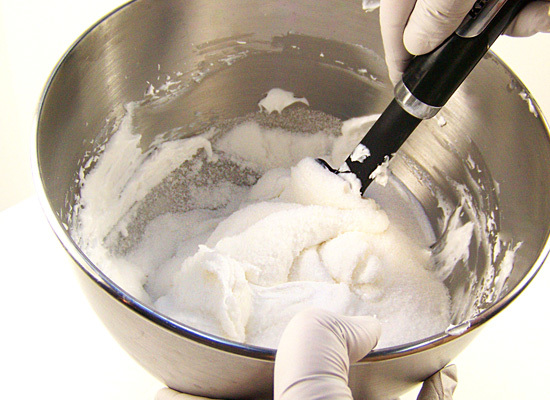 You will need to whip the base as shown in the Foaming Bath Butter Tutorial. Let’s get started! 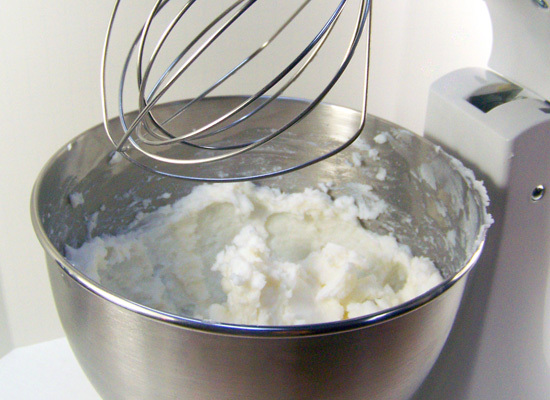 Step 1: Take 2 lbs of Foaming Bath Butter base and place in your mixing bowl. Cut up the base using a butter knife. It will feel like cutting into butter. 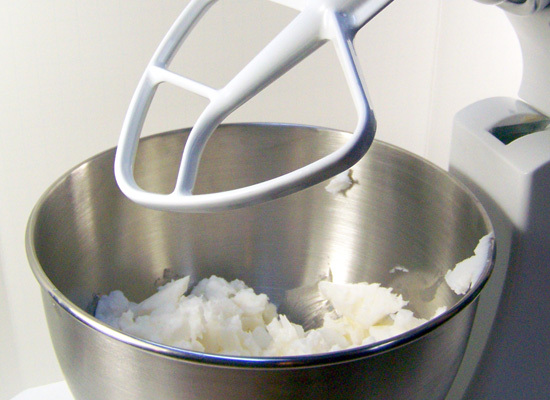 The smaller pieces make it easier to begin whipping. 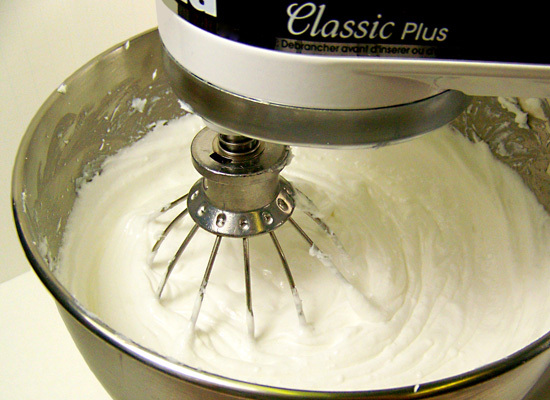 Step 2: If you’re using a stand mixer, begin slowly beating the base using a Flat Beater for about 30 seconds. This helps to prevent the clumping up of the Foaming Bath Butter Base inside the wire whip beaters when you get ready to whip the base. Step 3: Add your favorite carrier oil or butter to the base to make it more moisturizing. 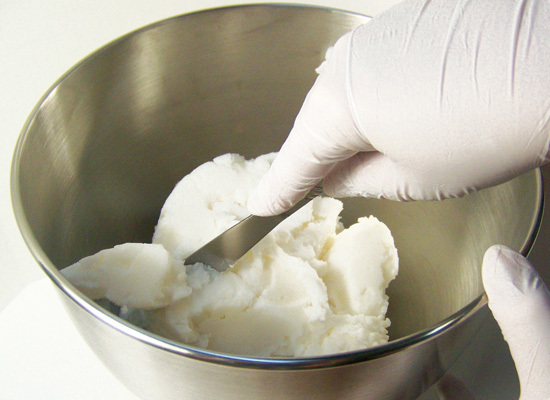 You can use up to 2 ounces of oil or butter to 1 pound of foaming bath butter base. I am adding one of my favorite oils, Apricot Kernel Oil. Weigh out 4 ounces. 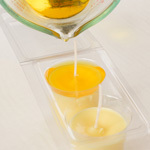 Heat up the oil in the microwave before adding to the base to help soften up the base and help with the whipping. You want it warm, but not too hot. Take the temperature of your carrier oil and make sure to keep it to around 118 – 120 degrees before adding it. Do not make the oil hotter than 122 degrees Fahrenheit because doing so will break down the properties of the preservative. 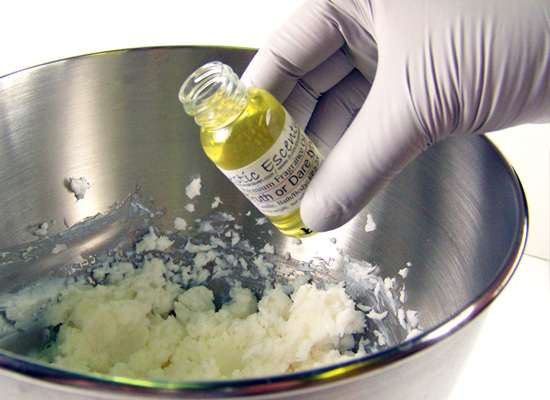 Step 4: Add the Fragrance Oil: For a 2 lb base add 3% fragrance oil (1 ounce). I used Little Black Dress Fragrance Oil because of the delicate femininity of the scent. 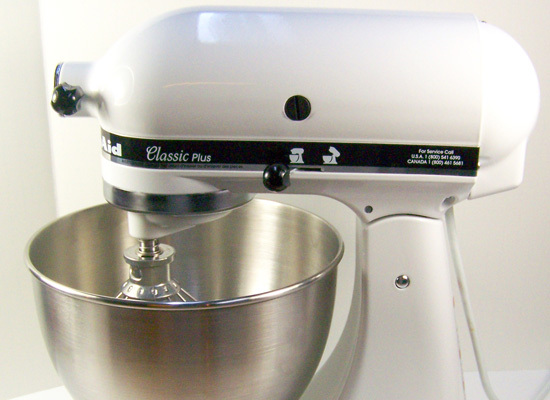 Step 5: If working with a stand mixer, switch to your whip beater and start timing yourself. 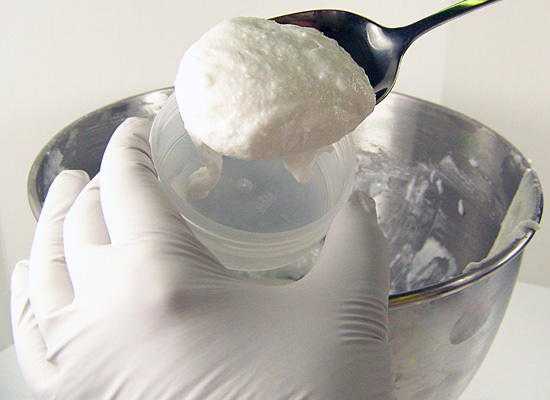 Begin whipping the Foaming Bath Butter Base on low – as it becomes smoother gradually increase to high (about 30 seconds). At the 2-minute mark, stop the mixer and scrape off the sides of the bowl with a rubber spatula, then continue to whip on high for a total of 5-10 minutes. You will notice that it begins to increase in volume. Stop when the base doubles in volume. 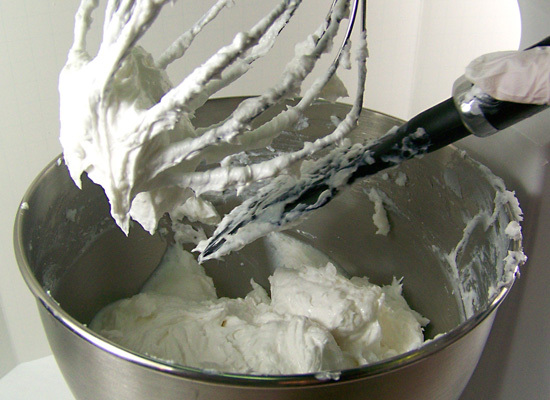 If you whip it to 3 or 4 times its volume the foaming Bath Butter will collapse on you. For this tutorial I used your basic grocery store sugar. You can later experiment with Brown Sugar, Organic Sugar, larger crystals, smaller crystals and so on. Step 6: Now this is where we left off from the original tutorial – next steps are easy peasy! 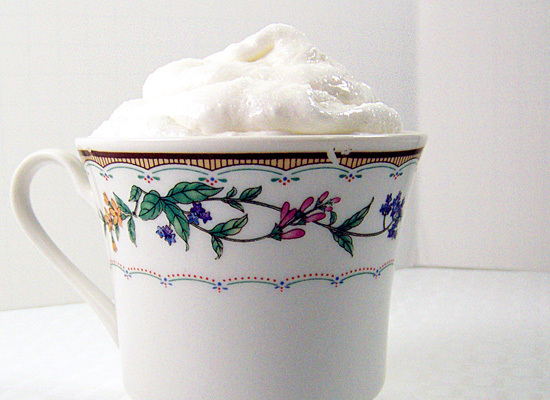 Take the whipped Foaming Bath Butter and slowly add the sugar. 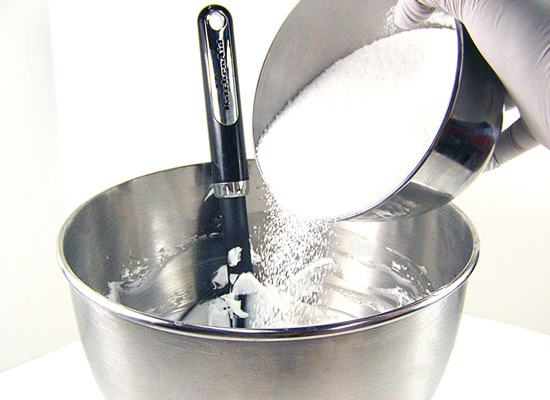 Begin by adding 1 lb of sugar and slowly mix in with your spatula – do not use your mixer at this stage. You are folding the sugar into your whipped base. Step 7: Test the mix and decide if you would like more sugar. Make sure you add enough sugar to the base – adding too little will cause the sugar to dissolve, so your goal is to over-saturate. 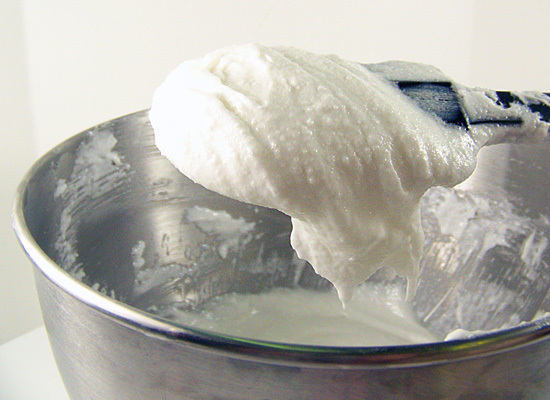 It’s important the whip become over-saturated to prevent dissolving sugar. I decided to add 8 more ounces to the mixture to ensure super-saturation and a perfect scrubby feeling. That’s it! Step 8: I like to dispense the scrub into jars by using a spoon. You can also use a pastry bag or even a Ziploc bag to do this. Begin filling the Low Profile Frosted 2.9 oz jars. 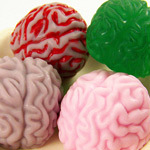 These are perfect for a sugar scrub! Step 9: Smooth the tops and wipe off the rims. Make sure the jars are nice and clean before sealing them. Allow the product to set for 24 hours before use. 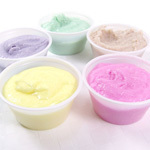 Option 1: You can color the sugar scrub very easily – simply add a few drops of a Gel Soap Color of your choice in Step 3. Option 2: If you planning on selling your product, it’s a good idea to add a bit more preservative to the scrub. Add the preservative to the Foaming Bath Butter Base before whipping (following instructions according to the preservative of your choice). Enjoy! 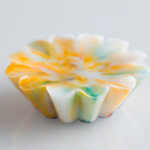 If you like this tutorial, check out the Shaving Soap tutorial using the Foaming Bath Butter Base! This tutorial on how to make soap has been sponsored by Rustic Escentuals. 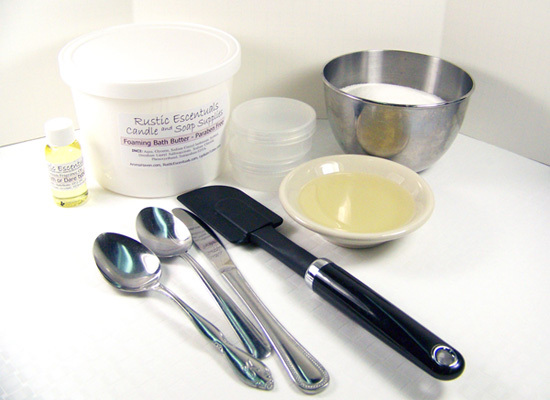 Rustic Escentuals has been offering specialty craft supplies, wholesale candle making supplies, and wholesale soap making supplies since 1999. Learn how to make candles, how to make soap, how to make lip balm, how to make bath bombs and more at Rustic Escentuals. We hope you shop with us for your wholesale candle supplies and soap making needs. Quality ingredients for a quality finished product!